"IND Second Avenue Line" redirects here. For the former elevated railway line, see IRT Second Avenue Line. For the bus line that runs on Second Avenue, see M15 (New York City bus). For the subway station at Houston Street, see Second Avenue (IND Sixth Avenue Line). The Second Avenue Line is served by the Q. Limited service is also provided by the N and R.
The T (turquoise) will serve the full line in the future once Phase 3 opens. The Second Avenue Subway (internally referred to as the IND Second Avenue Line by the MTA and abbreviated to SAS) is a New York City Subway line that runs under Second Avenue on the East Side of Manhattan. The first phase of this new line, with three new stations on Manhattan's Upper East Side, opened on January 1, 2017. The full Second Avenue Line, if and when it is funded, will be built in three more phases to eventually connect Harlem–125th Street in Harlem to Hanover Square in Lower Manhattan. The proposed full line would be 8.5 miles (13.7 km) and 16 stations long, serve a projected 560,000 daily riders, and cost more than $17 billion. The line was originally proposed in 1919 as part of a massive expansion of what would become the Independent Subway System (IND). In anticipation of the Second Avenue Subway being built to replace them, parallel elevated lines along Second Avenue and Third Avenue were demolished in 1942 and 1955, respectively, despite several factors causing plans for the Second Avenue Subway to be cancelled. Construction on the line finally began in 1972 as part of the Program for Action, but was halted in 1975 because of the city's fiscal crisis, leaving only a few short segments of tunnels completed. Work on the line restarted in April 2007 following the development of a financially secure construction plan. The first phase of the line, consisting of the 96th Street, 86th Street, and 72nd Street stations and two miles (3.2 km) of tunnel, cost $4.45 billion. A 1.5-mile (2.4 km), $6 billion second phase from 96th to 125th Streets is in planning and is expected to open by 2027–2029. Phase 1 is served by the Q train at all times and limited rush-hour N and R trains. Phase 2 will extend the line's northern terminus from 96th Street to Harlem–125th Street, and both the Q and limited N services will be extended to 125th Street. Phase 3 will extend the line south from 72nd Street to Houston Street in Manhattan's Lower East Side; upon completion, a new T train will serve the entire line from Harlem to Houston Street. Phase 4 will again extend the line south from Houston Street to Hanover Square, at which point the T would provide service to the entire line. The T will be colored turquoise since it will use the Second Avenue Line through Midtown Manhattan. Proposed map of the Manhattan portions of the Q and T trains upon completion of Phase 4. The T is planned to eventually serve the full line between Harlem–125th Street and Hanover Square, and the Q will serve the line between 72nd Street and Harlem–125th Street. Phase 1 of the Second Avenue Line opened in January 2017 and runs under Manhattan's Second Avenue from 65th Street to 105th Street, with stations at 72nd Street, 86th Street, and 96th Street. It is double-tracked along its entire length, with tracks in parallel tubes bored by tunnel boring machines, and central island platforms at all stations. North of 96th Street, both tracks continue as storage tracks until they end at 105th Street. As part of Phase 1, the Second Avenue Subway connects to the BMT Broadway Line using an existing connection via the 63rd Street Line. The Q, as well as and limited rush-hour N and R, operate northward from 57th Street–Seventh Avenue on the Broadway Line, curving east under Central Park on the 63rd Street Line. The Broadway trains then stop at Lexington Avenue–63rd Street with a cross-platform interchange to the F train before merging with the Second Avenue Line near 65th Street; this connection is also double-tracked. The northbound 63rd Street Connector track dips below the level of Phase 3's planned tunnels, providing for a future flying junction between the connector and the rest of the Second Avenue Line. After World War I, the New York City Subway experienced a surge in ridership. By 1920, 1.3 billion annual passengers were riding the subway, compared to 523 million annual riders just seven years before the war. In 1919, the New York Public Service Commission launched a study at the behest of engineer Daniel L. Turner to determine what improvements were needed in the city's public transport system. Turner's final paper, titled Proposed Comprehensive Rapid Transit System, was a massive plan calling for new routes under almost every north-south Manhattan avenue, extensions to lines in Brooklyn and Queens, and several crossings of the Narrows to Staten Island. :22–25 Among the plans were was a massive trunk line under Second Avenue consisting of at least six tracks and numerous branches throughout Brooklyn, Queens, and the Bronx; in turn, the Second and Third Avenue elevated lines were to be knocked down to make room for the 6-track subway. :203 The paper was revised in January 1927. Further revision of the plan and more studies followed. 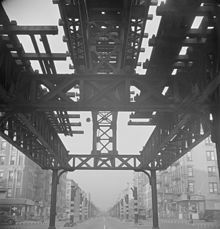 By 1939, construction had been postponed indefinitely, with only a short length being completed above the Second Avenue station. The Second Avenue Line was relegated to "proposed" status, and was number 14 on the Board of Transportation's list of important transportation projects. The line was cut to two tracks with single northern branch through Throggs Neck, Bronx, a connection to the BMT Broadway Line in Manhattan, and a continuation south onto the IND Fulton Street Line in Brooklyn via that line's Court Street station. :205 The subway's projected cost went up to US$249 million (equivalent to $4,241,000,000 in 2018). The United States' entry into World War II in 1941 halted all but the most urgent public works projects, delaying the Second Avenue Line once again. As part of the unification of the three subway companies that comprised the New York City Subway in 1940, elevated lines were being shut down all over the city and replaced by subways. :205–206 The northern half of the Second Avenue Elevated, serving the Upper East Side and East Harlem, closed on June 11, 1940; the southern half, running through Lower Manhattan, East Midtown and across the Queensboro Bridge to Queens, closed on June 13, 1942. The demolition of the Second Avenue elevated caused overcrowding on the Astoria and Flushing Lines in Queens, which no longer had direct service to Manhattan's far East Side. :208 Because of the elevated line's closure, as well as a corresponding increase in the East Side's population, the need for a Second Avenue subway increased. In 1944, BOT superintendent Philip E. Pheifer put forth a proposal for Second Avenue Subway services, which would branch extensively off to B Division. :209–210 The subway was originally to be opened by 1951, but by 1945, plans for the Second Avenue Subway were again revised. :210–211 Another plan was put forth in 1947 by Colonel Sidney H. Bingham, a city planner and former Interborough Rapid Transit Company (IRT) engineer. O'Dwyer and Gross believed that construction of a Second Avenue subway line would be vital to both increasing capacity on existing lines and allowing new branch lines to be built. :209 Bingham's proposal involved more branch lines and track connections than did Phiefer's, and similar to the 1960s and 1990s phased proposals, was to be built in sections. :209 However, by the next year, New York City was short $145 million that was needed for a $800 million program for rehabilitation and proposed capital improvements. The City petitioned the New York State Legislature to exceed its $655 million debt ceiling so that the city could spend $500 million on subway construction, but this request was denied. The BOT then ordered ten new prototype subway cars made of stainless steel from the Budd Company. These R11 cars, so called because of their contract number, were delivered in 1949 and specifically intended for the Second Avenue Subway. They cost US$100,000 (equivalent to $1,000,000 in 2018) each; the train became known as the "million dollar train". The cars featured porthole style round windows and a new public address system. Reflecting public health concerns of the day, especially regarding polio, the R11 cars were equipped with electrostatic air filters and ultraviolet lamps in their ventilation systems to kill germs. In 1949, Queens and Lower Manhattan residents complained that the Second Avenue Subway would not create better transit options for them. A year later, a revised plan was devised that involved connections from Queens. New York voters approved a bond measure for its construction in 1951, and the city was barely able to raise the requisite $559 million for the construction effort. However, the onset of the Korean War caused soaring prices for construction materials and saw the beginning of massive inflation. Money from the 1951 bond measure was diverted to buy new cars, lengthen platforms, and maintain other parts of the aging New York City Subway system. Out of a half-billion-dollar bond measure, only $112 million (equivalent to $1,081,000,000 in 2018), or 22% of the original amount, went toward the Second Avenue Subway. By then, construction was due to start by either 1952 or 1957, with estimated completion by 1958 at the earliest. The Third Avenue Elevated, the only other elevated line in the area, closed on May 13, 1955, and was demolished in 1956. The Lexington Avenue Line was now the only subway transportation option on the East Side, leading to overcrowding. By 1957, the 1951 bond issue had been almost entirely used for other projects,:216 and the New York Times despaired of the line's ever being built. "It certainly will cost more than $500 million and will require a new bond issue," wrote one reporter. As the early 1960s progressed, the East Side experienced an increase in development, and the Lexington Avenue Line became overcrowded. In 1962, construction began on a connection between the Manhattan and Williamsburg Bridges and the Sixth Avenue Line. This segment, the Chrystie Street Connection, was first proposed in the 1947 plan as the southern end of the Second Avenue line, which would feed into the two bridges. When opened in November 1967, the connection included the new Grand Street station on the Sixth Avenue Line (another station, 57th Street, opened in July 1968), and introduced the most significant service changes ever carried out in the subway's history. :216–217 Grand Street, located under Chrystie Street (the southern end of Second Avenue) was designed to include cross-platform transfers between the Sixth Avenue and Second Avenue Lines. Separately, in 1967, voters approved a $2.5 billion (worth about $18,785,000,000 in current dollars) Transportation Bond Issue, which provided over $600 million (worth $4,508,000,000 today) for New York City projects, including for a 1968 Program for Action. The City secured a $25 million Urban Mass Transportation Act (UMTA) grant for initial construction. :219 The Program for Action proposed a Second Avenue line to be built in two phases: a first phase north of 34th Street and a second phase south of there. The Second Avenue project, for a line from 34th Street to the Bronx, was given top priority. However, the line's planned stops in Manhattan, spaced farther apart than those on existing subway lines, proved controversial;:37 the Second Avenue line was criticized as a "rich man's express, circumventing the Lower East Side with its complexes of high-rise low- and middle-income housing and slums in favor of a silk stocking route.”:218 In response to protests, the MTA added stations at 72nd Street and 96th Street The MTA issued a plan for a spur line, called the "cuphandle", to serve the heart of the Lower East Side. Branching off from the IND Sixth Avenue Line near the Second Avenue station, the spur would run east on Houston Street, turn north on Avenue C, and turn west on 14th Street, connecting to the BMT Canarsie Line. A combination of Federal and State funding was obtained for the project. In March 1972, the entire cost of the section between 34th Street and 126th Street, according to the project's Draft Environmental Study, was estimated to be $381 million. :1 In June 1972, it was announced that the UMTA would grant $25 million for the construction of this section of the line. The MTA had requested $254 million in federal funds for the northern part of the line. Preliminary estimates of the cost of the southern portion of the line came to $450 million. Construction on a tunnel segment between 99th and 105th Streets began in October 1972. A second segment between 110th and 120th Street in East Harlem started construction in March 1973. On October 25, 1973, the line's Chinatown segment commenced construction at Canal Street under the foot of the Manhattan Bridge between Canal and Division Streets. A fourth segment started construction on July 25, 1974, between Second and Ninth Streets in the East Village. In total, construction on the Second Avenue Line during the 1970s spanned over 27 blocks. The city soon experienced its most dire fiscal crisis yet, due to the stagnant economy of the early 1970s, combined with the massive outflow of city residents to the suburbs. The system was already in decline; the subway had seen a 40% decrease in ridership since 1947, and a $200 million subsidy for the MTA as well as a 1952 fare increase had not been enough to pay for basic upkeep for the subway system, let alone fund massive expansion projects like the Second Avenue Subway. :52 When plans were finalized in 1971, the subway had been proposed for completion by 1980,:38 but two years later, its completion date was forecast as 2000.:52 In October 1974, the MTA chairman, David Yunich, announced that the completion of the line north of 42nd Street was pushed back to 1983 and the portion to the south in 1988. On December 13, 1974, New York City mayor Abraham Beame proposed a six-year transit construction program that would reallocate $5.1 billion of funding from the Second Avenue Line to complete new lines in Queens and to modernize the existing infrastructure, which was rapidly deteriorating and in dire need of repair. Beame issued a stop-work order for the line in September 1975, whereupon construction of the section between Second and Ninth Streets was halted, and no other funding was allocated to the line's construction. Besides the Chrystie Street Connection, only three sections of tunnel had been completed; these tunnels were sealed. By 1978, when the New York City Subway was at its lowest point in its existence, State Comptroller Arthur Levitt stated that there were no plans to finish the line. During the 1980s, plans for the Second Avenue line stagnated. Construction on the 63rd Street Lines continued; the IND portion of the line opened in 1989 and extended to 21st Street–Queensbridge in Long Island City, Queens, but it did not include a connection to the Second Avenue line. Of this failure to complete construction, Gene Russianoff, an advocate for subway riders since 1981, stated: "It's the most famous thing that's never been built in New York City, so everyone is skeptical and rightly so. It's much-promised and never delivered." With the city's economic and budgetary recovery in the 1990s, there was a revival of efforts to complete construction of the SAS. Rising ridership on the IRT Lexington Avenue Line, the only subway trunk line east of Central Park, demonstrated the need for the Second Avenue Line, as capacity and safety concerns rose. The four-track IRT Lexington Avenue Line, the lone rapid transit option in the Upper East Side and East Harlem since the 1955 closure of the Third Avenue elevated, is the most crowded subway line in the country. The line saw an average of 1.3 million daily riders in 2015; this is more than the daily ridership of the second-busiest subway system in the U.S., the Washington Metro, as well as more than the combined daily riderships of San Francisco's and Boston's transit systems. Local bus routes are just as crowded during various times of the day, with the parallel M15 local and M15 Select Bus Service routes seeing 46,000 passengers per weekday in 2016, translating to 14.5 million passengers that year. On December 19, 2001, the Federal Transit Administration approved the start of preliminary engineering on a full-length Second Avenue Subway. The MTA's final environmental impact statement (FEIS) was approved in April 2004; this latest proposal is for a two-track line from 125th Street and Lexington Avenue in Harlem, down Second Avenue to Hanover Square in the Financial District. The final plan called for the full-length Second Avenue line to carry two services: the T, with a route emblem colored turquoise, as well as a rerouted Q train. Phase 1 rerouted the Q, the Broadway Express via the BMT 63rd Street Line and north along Second Avenue, to the Upper East Side at 96th Street. Phase 2 will extend the rerouted Q train to 125th Street and Lexington Avenue. In Phase Three, the new T train will run from 125th Street to Houston Street. The final phase will extend T train service from Houston Street to Hanover Square in Lower Manhattan. The 2-mile (3.2 km) first phase was built within budget, at $4.45 billion. Its construction site was designated as being from 105th Street and Second Avenue to 63rd Street and Third Avenue. Deep bore tunneling methods were to be used in order to avoid the disruptions for road traffic, pedestrians, utilities and local businesses produced by cut-and-cover methods of past generations. Stations were to retain cut-and-cover construction. The total cost of the 8.5-mile (13.7 km) line is expected to exceed $17 billion. In 2014, MTA Capital Construction President Dr. Michael Horodniceanu stated that the whole line may be completed as early as 2029, and would serve 560,000 daily passengers upon completion; however, as of December 2016[update], only Phases 1 and 2 would be completed by 2029. The line is described as the New York City Subway's "first major expansion" in more than a half-century. It would add two tracks to fill the gap that has existed since the elevated Second and Third Avenue Lines were demolished in the 1950s. According to the line's final environmental impact statement, the catchment area of the line's first phase would include 200,000 daily riders. New York voters passed a transportation bond issue on November 8, 2005, allowing for dedicated funding allocated for that phase. Its passage had been seen as critical to its construction, but the bond was passed only by a narrow margin, with 55% of voters approving and 45% disapproving. At the time, the MTA said that the project would be done in 2012 in case the city's 2012 Summer Olympics bid succeeded, which it had not. On December 18, 2006, the United States Department of Transportation (USDOT) announced that they would allow the MTA to commit up to $693 million in funds to begin construction of the Second Avenue Subway and that the federal share of such costs would be reimbursed with FTA transit funds, subject to appropriations and final labor certification. The USDOT also later gave $1.3 billion in federal funding for the project's first phase, to be funded over a seven-year period. Preliminary engineering and a final tunnel design was completed by a joint venture between AECOM and Arup. On March 20, 2007, upon completion of preliminary engineering, the MTA awarded a contract for constructing the tunnels, a launch box for the tunnel boring machine (TBM), and access shafts to S3, a joint venture of Schiavone Construction, Skanska USA Civil, and J.F. Shea Construction. 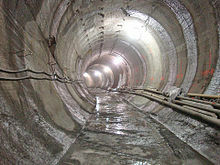 A ceremonial groundbreaking took place on April 12, 2007, at the 99th Street tunnel segment built in the 1970s. Actual construction work began on April 23, 2007, with the relocation of utility pipes, wires, and other infrastructure, which took 14 months. At the time, it was announced that passengers would be able to ride trains on the new line by the end of 2013. Due to cost increases, several features of the subway were cut back soon after construction started. Notably, the 72nd Street Station was truncated from a three-track, two-platform design to a two-track, single island platform design, paired with a simplification of the connection to the Broadway Line spur. This design change was done before the actual construction started. The MTA also pushed back its completion date to 2014. In its 2008 capital improvement budget proposal, the MTA further postponed completion of Phase 1 to 2015, and in 2009, the MTA rescheduled it again to 2016. In 2009, contracts were awarded for the 96th Street station box, as well as for excavation around the 86th Street stations. The TBM began boring the western tunnel southward from 96th Street in 2010. Subsequent contracts for tunnels to the Lexington Avenue–63rd Street station, and for the excavation of the 72nd Street station, were awarded in 2010.:301 The following year, contracts were awarded for excavation of the cavern at the 86th Street station, as well as construction for the Lexington Avenue–63rd Street station. The TBM, digging at a rate of approximately 50 feet (15 m) per day, finished its run at the planned endpoint under 65th Street on February 5, 2011, and subsequently started digging the eastern tunnel. On March 28, 2011, S3, having completed its task of completing the 7,200-foot (2,200 m) west tunnel to 65th Street, began drilling the east tunnel to the bellmouth at the existing Lexington Avenue–63rd Street station. The portion of the west tunnel remaining to be created was then mined using conventional drill-and-blast methods. On September 22, 2011, the TBM completed its run to the Lexington Avenue–63rd Street station's bellmouth. The final contract for the entire Phase 1 area was awarded on June 1, 2013. Blasting for the station caverns was finished in November 2013, and the muck houses were taken down at around the same time. In the winter of 2013, many of the tracks and signal panels began to arrive at the construction site, to be installed on the line over the next few years. On February 24, 2016, the MTA allocated $66 million to speed up the construction of the first phase so that it could open in December. However, by June, the project was not being built at a rate that would allow a December 2016 completion. Concerns about the line's timely opening persisted through October and November, with key systems such as elevators, escalators, and fire alarms not having been tested. Test trains started running on October 9, 2016, and out-of-service Q trains started running through the subway in November 2016. The entrance to the Lexington Avenue–63rd Street station at Third Avenue, which was completed as part of Phase 1, opened on December 30. The ceremonial first train, with several prominent officials in attendance, ran on New Year's Eve, and trains began serving the line in regular passenger service at noon the next day. About 48,200 passengers entered the new stations on January 1, excluding passengers who toured the line by entering at a station in the rest of the system. Because of the opening of Phase 1, ridership on the Lexington Avenue Line at the 68th Street, 77th Street, 86th Street, and 96th Street stations decreased in January 2017 compared to in January 2016. The Second Avenue Line's three stations and the renovated Lexington Avenue–63rd Street station saw an average weekday ridership of more than 150,000 by the end of January. The 72nd Street station was the busiest of the line's new stations, with an average daily ridership of 44,000. By April, taxi usage in the area also saw a decline of more than 20% compared to before the line's opening. By February 2018, there were 190,000 riders per weekday, within the 5% margin of error for the 200,000-daily-rider estimate given in the Environmental Impact Statement. Rush-hour ridership was within 2% of projections. In November 2017, because of the increasing demand, Q service was increased by one trip during each rush hour, and one northbound R trip was rerouted from the IND Queens Boulevard Line to further boost service. This trip returns southbound in the evening in Q service. The Phase 2 budget was originally $1.5 billion, which would be used to start construction of the tunnels; the MTA reduced the amount of money allocated in the budget, projecting that the agency would not be able to start construction by the end of the 5-year cycle in 2019. Although the MTA previously expressed concerns about funding the Capital Program, a spokesman stated that the reduction in funding was a result of uncertain timing and not money problems. The delay had upset politicians and residents of East Harlem, who objected to the 3-to-4-year delay. In April 2016, the MTA and the State of New York reached a deal to restore funding to Phase 2, with a total of $1.035 billion allocated; this budget was raised by $700 million in May 2017. By August 2017, preliminary work on the line was underway,:48 and design of the project was being performed by Phase 2 Partnership, a joint venture of Parsons-Brinckerhoff and STV. The EIS and design were finished in 2018.:46 In July 2018, the MTA published a Supplemental Environmental Assessment for the SAS FEIS. The FTA issued a Finding of No Significant Impact for the project on November 15, 2018. A Second Avenue Subway Community Information Center for Phase 2, along 125th Street between Park and Madison Avenues, was planned to open in May 2017. However, the center's opening was delayed to September 18, 2017. Phase 3, which has no funding commitments, will extend the line southward along Second Avenue from 63rd Street to Houston Street. Upon its completion, a new service will operate running between 125th and Houston Streets. Phases 2 and 3, classified as a high-priority project by the Trump Administration, may cost up to a combined total of $14.2 billion. Phase 4, which also has no funding commitments, will provide an extension from Houston Street to a permanent terminus, with storage tracks, at Hanover Square. These storage tracks, initially recommended in the SDEIS, would allow for the storage of four trains, and they would run south of Hanover Square from Coenties Slip to a traffic island located near Peter Minuit Plaza at a depth of 110 feet (34 m). :16 The Hanover Square terminal is only planned to be able to turn back 26 trains per hour instead of 30 as less capacity will be needed on the line south of 63rd Street. :26 The Hanover Square station will be deep enough to allow for the potential extension of Second Avenue Subway service to Brooklyn through a new tunnel under the East River. The stations on the line were built so that they are more wide open than most other underground subway stations in the system; because of this, Horodniceanu likened the Second Avenue Subway stations to the stations on the Washington Metro. All of the stations of the line will have their platforms be 615 feet (187 m) long, with their overall footprint being between 800 feet (240 m) and 1,400 feet (430 m) to provide space for the necessary power stations and ventilation plants. :14 The tracks themselves are built atop rubber padding so as to reduce the noise from the trains. Phase 1 of the Second Avenue Subway was constructed between the Lexington Avenue–63rd Street station on the 63rd Street Lines and an existing tunnel segment between 99th Street and 105th Street, with a terminal station at 96th Street. In Phase 1, tunneling was completed between East 63rd Street and East 92nd Streets through the use of TBMs. The TBM launch box was 814-by-75-foot-wide (248 by 23 m), and is now part of the 96th Street station. Two access shafts were constructed for the 72nd Street station. Slurry or diaphragm walls, 1.1 meters (3.6 ft) wide and 6.1 meters (20 ft) long and about 35 meters (115 ft) deep, were built alongside the sections between East 93rd and 95th Streets. Since the rock is shallower between East 91st and 93rd Streets, 1.1-meter-diameter (3.6 ft) secant piles did the same work at shallower depths. Earth excavation was conducted between walls once they were installed, and box structures were built using a bottom-up construction method. Temporary decking constituted the top of the boxes, and the decking both braced the excavation and supported the walls and Second Avenue traffic. The stations at 86th and 72nd Streets were mined. This was challenging, given the number of expensive high rise properties in their vicinities. The 96th Street cut-and-cover station was about 15 meters (49 ft) deep, making it one of the shallowest stations being built on the line; the shallowness was so that the new line could align with the preexisting piece of subway tunnel built in the 1970s between 99th and 105th Streets. Stations at the two mined stations are between 25.9 and 27.4 meters (85 and 90 ft) deep in rock. The construction method that was used was supposed to ease concerns for buildings above the station sites, because only two shafts were required for excavation. The Harlem–125th Street subway station, planned as part of phase 2, would contain an intermodal transfer to Metro-North trains at Harlem–125th Street (pictured). As part of Phase 3, a station would be built at Second Avenue and 23rd Street (pictured). Three construction options were evaluated during the project's Environmental Impact Study for the portion of the line between 11th Street and Hanover Square. One option known as the Shallow Chrystie Option would mainly use cut and cover, while the Deep Chrystie Street and Forsyth Options would use a combination of tunneling by Earth Pressure Balance Machines (EPBMs) and cut and cover. The Shallow Chrystie Option would have used the existing Confucius Plaza tunnel section between Canal and Division Streets, and like the plan from the 1970s, there would have been a cross-platform transfer to the existing Grand Street station, with the transfer expected to be heavily used. However, this option would require digging up Sara Delano Roosevelt Park to the east as Chrystie Street is not wide enough to fit four tracks. Under this option, a track connection would be built to allow trains from Second Avenue to run via the Manhattan Bridge north tracks to allow service to Brooklyn. The Forsyth Option would curve below the park to Forsyth Street and the station would be built under Forsyth Street, requiring a 200-foot transfer passageway that would be less convenient than the other options. The Deep Chrystie Option would have the Second Avenue Subway run deeper underground, running underneath the existing Grand Street station, with a mezzanine in between the two stations. In order to allow for sufficient room for stairways to transfer to the Second Avenue Line, the Grand Street station would be widened to have twenty foot wide platforms. No track connection would be built under this option, and the Confucius Plaza tunnel section would not be used for subway service, but it instead might be used for ancillary subway facilities. Currently, this is the preferred option. In December 2016, after it was announced that Phase 2 might cost $6 billion, transit experts expressed concern that the Second Avenue Subway might be so excessively costly as to preclude construction of Phases 3 and 4, as well as future expansions. One expert stated that the Phase 1 project was the most expensive subway project in the world, and that compared to other subway systems around the world, the cost of building new subways in New York City was much higher. The Second Avenue Subway's per-mile construction cost is higher than that of other projects in similar cities like London's Crossrail and Paris's Grand Paris Express, which themselves are among the most expensive underground-railway projects in the world. MTA officials stated that the Second Avenue Subway cost as much as it did only because of the complex underground infrastructure in Manhattan, as well as the fact that the New York City Subway runs all the time. The opening of Phase 1 extended Q service to 96th Street from its former terminal at 57th Street. The Q service has a rush-hour service frequency of 7 to 10 trains per hour; by contrast, the IRT Lexington Avenue Line's express tracks (4 and ​5 trains) have an estimated rush-hour frequency of 30 trains per hour, or one train approximately every 2 minutes in each direction. As part of the 2004 Final Environmental Impact Study (FEIS) for the line, Q service was planned to have a frequency of 14 trains per hour during rush hours,:5B·20 but this was revised due to MTA schedule changes. A few rush hour N trains that formerly short-turned at 57th Street began to run to 96th Street on January 3, 2017; the northbound trips are labeled as Q trains via the Sea Beach Line to reduce passenger confusion. Starting on November 6, 2017, one northbound R train has served the line during weekday mornings, boosting service. In Phase 2, all current services will be extended to 125th Street and Lexington Avenue. As part of the 2004 FEIS, it was planned for Q service to be increased to 19 trains per hour to accommodate the projected increase in ridership. :5B·20 In order to allow for the construction of Phase 3, bellmouths have been constructed at the turnoff to the BMT 63rd Street Line. The letters O and I are too easily confused with the digits 0 and 1, respectively. The letter K was used until the late 1980s to denote services on the IND Eighth Avenue Line, and earlier on the BMT Jamaica Line, and thus is not preferred. H is the Rockaway Park Shuttle's internal route designator. The letters P, U and Y are more easily confused with common words. The T's route emblem is colored turquoise (hex triplet #00ADD0, which could also be considered robin's egg blue or teal) because the color had also been used for the JFK Express in the past. In 2011, turquoise was considered "the color of the year", and at the time of the color's selection in the 2000s, it was also considered a very upscale color. Three stations are part of Phase 1, which opened on January 1, 2017. Three more are planned for Phase 2 (including one transfer to an existing line); six more in Phase 3 (including up to four transfers); and four more in Phase 4 (including one transfer). ^ a b Select in-system transfers that have been confirmed if the full-length line is constructed. ^ a b c d Transfers are "under evaluation" and have not been confirmed yet. ^ a b c Haughney, Christine (August 22, 2011). "Train Line Far From Arrival Has a Color to Be Noticed". The New York Times. Retrieved August 14, 2015. ^ a b c "SUB-DIVISION B TRAIN OPERATOR/CONDUCTOR ROAD & NON-ROAD WORK PROGRAMS IN EFFECT: NOVEMBER 6, 2016" (PDF). progressiveaction.info. New York City Transit. July 29, 2016. Retrieved August 19, 2016. ^ a b c d "Q Subway Timetable, Effective June 24, 2018" (PDF). Metropolitan Transportation Authority. Retrieved June 24, 2018. ^ a b c d e f Slotnik, Daniel E.; Wolfe, Jonathan; Fitzsimmons, Emma G.; Palmer, Emily; Remnick, Noah (January 1, 2017). "Opening of Second Avenue Subway: Updates". The New York Times. ISSN 0362-4331. Retrieved January 1, 2017. ^ a b c d e f Rivoli, Dan; Sandoval, Edgar; Brown, Stephen Rex (January 1, 2017). "New Yorkers take historic first ride on Second Ave. subway". New York Daily News. Retrieved January 1, 2017. ^ a b c d e f Nessen, Stephen (January 1, 2017). "See Inside: The 2nd Avenue Subway Opens to All". WNYC. Retrieved January 1, 2017. ^ a b c d Dougherty, Peter (2018). Tracks of the New York City Subway 2018 (16th ed.). Dougherty. OCLC 1056711733. ^ a b c "Second Avenue Subway Final Environmental Impact Statement (FEIS), May 2004 Figure 2-4 Track Diagram, North of 55th Street" (PDF). mta.info. Metropolitan Transportation Authority. May 2004. Retrieved August 7, 2016. ^ a b c d e f g h i j k l m "Making the Case" (PDF). fta.dot.gov. Federal Transit Administration. August 20, 2004. p. 1. Archived from the original (PDF) on February 27, 2013. Retrieved April 10, 2014. ^ a b c d e f g h "Second Avenue Subway Final Environmental Impact Statement (FEIS): Chapter 5B: Transportation—Subway and Commuter Rail" (PDF). mta.info. Metropolitan Transportation Authority. May 2004. Retrieved December 17, 2016. ^ a b Martinez, Jose (February 19, 2016). "MTA Confirms W Train is Coming Back". ny1.com. Time Warner Cable. Retrieved February 19, 2016. ^ "MTA Advances Work On Second Avenue Subway Service" (Press release). Metropolitan Transportation Authority. February 19, 2016. Retrieved February 19, 2016. ^ a b c "Second Avenue Subway Final Environmental Impact Statement (FEIS), May 2004 Figure 2-4 Track Diagram, South of 55th Street" (PDF). mta.info. Metropolitan Transportation Authority. May 2004. Retrieved August 7, 2016. ^ a b c d e f g h "Second Avenue Subway Final Environmental Impact Statement (FEIS), May 2004 Appendix B Development of Alternatives" (PDF). mta.info. Metropolitan Transportation Authority. May 2004. Retrieved August 7, 2016. ^ a b c "Second Avenue Subway Supplemental Draft Environmental Impact Statement (SDEIS), April 2003 Appendix B Development of Alternatives" (PDF). mta.info. Metropolitan Transportation Authority. April 2003. Retrieved August 9, 2016. ^ a b c d e "Chapter 2: Description of Phase 2 Modified Design". Supplemental Environmental Assessment to the Second Avenue Subway Final Environmental Impact Statement: Phase 2 (PDF). Metropolitan Transportation Authority. July 2018. Retrieved July 13, 2018. ^ a b c d e f g h i j k l m n o p "The Second Avenue Subway Line. . . the line that almost never was". New York City Transit Authority. 1972. Retrieved September 30, 2015. ^ a b c d e f g Paumgarten, Nick (February 6, 2017). "The Second Avenue Subway Is Here!". The New Yorker. Retrieved February 24, 2017. ^ Turner, Daniel L. (January 1, 1920). Report by the chief engineer submitting for consideration a comprehensive rapid transit plan covering all boroughs of the city of New York. New York : Office of Transit Construction Commissioner – via archive.org. ^ a b c d e f "IND Second System 1929 Plan". nycsubway.org. Retrieved March 25, 2016. ^ a b c d e f g h i j k l m n o Raskin, Joseph B. (2013). The Routes Not Taken: A Trip Through New York City's Unbuilt Subway System. New York, New York: Fordham University Press. ISBN 978-0-82325-369-2. ^ Duffus, R.L. (September 22, 1929). "OUR GREAT SUBWAY NETWORK SPREADS WIDER; New Plans of Board of Transportation Involve the Building of More Than One Hundred Miles of Additional Rapid Transit Routes for New York" (PDF). The New York Times. Retrieved August 14, 2015. ^ a b c d e f g h i j k l m n Jewler, Sam (July 24, 2004). "The Long, Tortured History of the Second Avenue Subway". The New Yorker. Retrieved August 14, 2015. ^ a b c "Second Avenue Subway Project - History". mta.info. Metropolitan Transportation Authority. October 19, 2002. Archived from the original on October 19, 2002. Retrieved February 15, 2016. ^ a b "Second Avenue Subway Final Environmental Impact Statement (FEIS): Appendix B: Development of Alternatives" (PDF). mta.info. Metropolitan Transportation Authority. May 2004. Retrieved August 5, 2015. ^ "SLATTERY IS LOW IN BID ON SUBWAY". The New York Times. September 14, 1972. ISSN 0362-4331. Retrieved December 24, 2016 – via New York Times Archives. ^ a b Cohen, Richard (February 8, 1971). Second Avenue Subway: Bumpy Road Ahead. New York Magazine. New York: New York Media, LLC. pp. 36–39 – via Google Books. ^ Prial, Frank J. (August 28, 1971). "M.T.A. Adds a Stop, 72d St., To Its 2d Avenue Subway Plan" (PDF). The New York Times. p. 29. Retrieved December 21, 2016. ^ New York Media, LLC (February 8, 1971). New York Magazine. New York Media, LLC. pp. 39–. ISSN 0028-7369. ^ Second Ave subway construction, 34th St to 126th St, Manhattan Draft Environmental Impact Statement. Urban Mass Transportation Administration. March 1972 – via Hathitrust. ^ a b c Burks, Edward C. (October 25, 1973). "GROUND IS BROKEN FOR 2D AVE. LINK; Downtown Subway Section Begins With Ceremony Led by Lindsay and Ronan Projects Are Listed Interest in French Train" (PDF). The New York Times. p. 51. Retrieved October 4, 2015. ^ a b c Burks, Edward C. (July 26, 1974). "Beame and Wilson Man the Jackhammers To Start 4th Segment of 2d Ave. Subway; A 1920's Project Some See No Alternative Rush Hour Still Jammed Headache for Neighbors Completion Set for '75" (PDF). The New York Times. p. 10. Retrieved October 4, 2015. ^ Engineering News-record. 192. McGraw-Hill. January 1974. ^ Montgomery, Paul L. (January 10, 1975). "2d Ave. Tunnelers Push On, Despite Potential Futility; Proposal by Beame" (PDF). The New York Times. p. 78. Retrieved October 4, 2015 – via New York Times Archives. ^ a b c "Cuomo: Second Ave. subway to open New Year's Day". am New York. December 19, 2016. Retrieved December 20, 2016. ^ a b c d e "Manhattan East Side Transit Alternatives (MESA)/Second Avenue Subway Summary Report" (PDF). mta.info. Metropolitan Transportation Authority. October 11, 2001. Retrieved August 9, 2016. ^ "Supplemental Draft Environmental Impact Statement on the Manhattan East Site Alternatives Project— Second Avenue Subway. AGENCY: Federal Transit Administration, DOT. ACTION: Notice of intent to prepare a supplemental draft environmental impact statement" (PDF). mta.info. Federal Transit Administration. March 22, 2001. p. 2. Retrieved August 9, 2016. ^ "Second Avenue Subway History". mta.info. Metropolitan Transportation Authority. April 12, 2007. Archived from the original on December 21, 2015. Retrieved March 31, 2016. In April 2004, the Second Avenue Subway Final Environmental Impact Statement (FEIS) was published. ^ Sargent, Greg (March 29, 2004). "The Line That Time Forgot – Second Avenue Subway". New York Magazine. Retrieved August 2, 2009. ^ a b c d "New York City 2nd Ave Subway Phase 2 Profile" (PDF). FTA. December 27, 2016. Archived from the original (PDF) on January 5, 2017. Retrieved January 4, 2017. ^ Fitzsimmons, Emma G. (December 19, 2016). "2nd Avenue Subway Will Open on New Year's Day, M.T.A. Says". The New York Times. ISSN 0362-4331. Retrieved December 19, 2016. ^ * Andrea Gryme (May 1, 2014). "Progress Moves Ahead For Phase One Of Second Avenue Subway « CBS New York". CBS Local Media, a division of CBS Radio Inc. Retrieved May 4, 2014. ^ "Second Avenue Subway: A Status Report" (PDF). Archived from the original (PDF) on July 21, 2011. Retrieved August 2, 2009. ^ "First Construction Contract Signed for Second Avenue Subway; Work to Begin in April". mta.info. Metropolitan Transportation Authority. March 20, 2007. Archived from the original on April 26, 2014. Retrieved December 18, 2016. ^ "Second Avenue Subway Breaks Ground" (Press release). Metropolitan Transportation Authority. April 12, 2007. Retrieved December 24, 2015. ^ "MTA Launches Second Avenue Subway Tunnel Boring Machine" (Press release). Metropolitan Transportation Authority. May 14, 2010. Archived from the original on October 6, 2013. Retrieved October 5, 2013. ^ "COMMUNITY BOARD EIGHT PROJECT UPDATE" (PDF). MTA Capital Construction. February 15, 2011. Retrieved October 16, 2017. ^ "Second Avenue Subway TBM Breakthrough 9/22/2011". MTAPhotos. Flickr. Retrieved October 5, 2013. ^ "Tunneling for Second Avenue Subway Complete". mta.info. Metropolitan Transportation Authority. September 23, 2011. Retrieved December 20, 2016. ^ "Second Avenue Subway Quarterly Report Q4 2013" (PDF). mta.info. Metropolitan Transportation Authority. 2013. Retrieved December 17, 2016. ^ Fitzsimmons, Emma G. (November 14, 2016). "'Unprecedented' Work Required to Open 2nd Avenue Subway by Year's End, Officials Say". The New York Times. ISSN 0362-4331. Retrieved November 17, 2016. ^ "14th Street Corridor Traffic Analysis Overview" (PDF). Metropolitan Transit Authority. February 22, 2018. p. 7. Retrieved February 25, 2018. ^ "7:01 AM - 8:05 AM 96 ST - TransitFeeds". transitfeeds.com. November 6, 2017. Retrieved November 6, 2017. ^ a b Rivoli, Dan (May 22, 2017). "MTA to add Q trains on Second Ave. subway line as ridership soars". New York Daily News. Retrieved May 22, 2017. ^ a b Fitzsimmons, Emma G. (October 29, 2015). "Anger in East Harlem Over New Delays in 2nd Ave. Subway Plans". The New York Times. Retrieved November 3, 2015. ^ "MTA Capital Program 2015 – 2019 Capital Plan Renew. Enhance. Expand. As Approved by MTA Board April 20, 2016. As Approved by the CPRB May 23, 2016" (PDF). mta.info. Metropolitan Transportation Authority. May 2016. Retrieved August 7, 2016. ^ a b c "Second Avenue Subway Supplemental Draft Environmental Impact Statement (SDEIS), April 2003 Chapter 2 Project Alternatives" (PDF). mta.info. Metropolitan Transportation Authority. April 2003. Retrieved August 9, 2016. ^ a b c d e f "FINDING OF NO SIGNIFICANT IMPACT Attachment A: Summary of Comments and Responses" (PDF). mta.info. Federal Transit Administration. November 15, 2018. Retrieved November 19, 2018. ^ a b c d e f g h i j "Second Avenue Subway Final Environmental Impact Statement (FEIS): Chapter 3: Description of Construction Methods and Activities" (PDF). mta.info. Metropolitan Transportation Authority. May 2004. Retrieved August 5, 2015. ^ a b c d "MTACC REPORT TO CPOC SECOND AVENUE SUBWAY – PHASE 2" (PDF). mta.info. Metropolitan Transportation Authority. March 20, 2017. Retrieved August 27, 2017. ^ Donohue, Pete (August 7, 2014). "MTA to propose $1.5B to Phase 2 of 2nd Ave. subway construction". Daily News. New York. Retrieved December 23, 2016. ^ "MTA Capital Construction - Procurement". web.mta.info. Metropolitan Transportation Authority. Archived from the original on August 27, 2017. Retrieved August 27, 2017. ^ "Finding of No Significant Impact (FONSI) for the Second Avenue Subway Phase 2" (PDF). mta.info. Federal Transit Administration. November 15, 2018. Retrieved November 19, 2018. ^ "Milestone reached in Second Avenue subway project". Crain's New York Business. November 19, 2018. Retrieved November 19, 2018. ^ Mocker, Greg (April 25, 2017). "Information center opening in May for next phase of Second Avenue Subway". New York's PIX11 / WPIX-TV. Retrieved September 28, 2017. ^ a b Donohue, Pete (January 20, 2013). "Second Ave. subway on track to open in 2016: MTA". New York Daily News. Retrieved March 25, 2013. ^ "Second Avenue Subway expansion to be added to Trump's infrastructure priorities, congresswoman says". New York's PIX11 / WPIX-TV. January 27, 2017. Retrieved January 27, 2017. ^ "Maloney: Second Ave. subway is a priority for Trump". am New York. Retrieved January 27, 2017. ^ Kanno-Youngs, Zolan (June 19, 2016). "Sneaking a Peek at the Second Avenue Subway Line". WSJ. Wall Street Journal. Retrieved June 20, 2016. ^ a b c d "Second Avenue Subway SDEIS Chapter 3: Description of Construction Methods and Activities" (PDF). mta.info. Metropolitan Transportation Authority. April 2003. Retrieved August 15, 2015. ^ a b c d e "Second Avenue Subway Construction Techniques" (PDF). mta.info. Metropolitan Transportation Authority. August 2002. Retrieved February 15, 2016. ^ a b "Second Avenue Subway Update to Community Board 11" (PDF). mta.info. Metropolitan Transportation Authority. April 5, 2016. Retrieved January 8, 2017. ^ a b c d e f g h Wynne, Alexandra (January 20, 2009). "Fairytale of New York – Second Avenue Subway takes shape". New Civil Engineer. Retrieved August 2, 2009. ^ "Second Avenue Subway Final Environmental Impact Statement (FEIS), May 2004 Figure 2-6 Deep Chrystie Alignment" (PDF). mta.info. Metropolitan Transportation Authority. May 2004. Retrieved August 7, 2016. ^ a b c d Gelinas, Nicole (December 31, 2016). "Here's Why It Took A Century and $4.5 Billion To Add Just Three Subway Stops In New York City". The Daily Beast. Retrieved December 31, 2016. ^ Nifosi, Dana C. (October 9, 2015). "Second Avenue Subway Project's Water Mist Fire Suppression System". Federal Transit Administration. Retrieved December 31, 2016. ^ a b c d "New York's incredibly expensive new subway explains why we can't have nice things: Opinion". The Real Deal New York. December 31, 2016. Retrieved December 31, 2016. ^ a b c Barone, Vincent (December 22, 2016). "Experts concerned by Second Ave. subway's costly Phase II". am New York. Retrieved December 23, 2016. ^ Rivoli, Dan (May 25, 2016). "Longer waiting time expected for Second Ave. subway line". New York Daily News. Retrieved December 14, 2016. ^ Anastasio, Joseph. "It contains a provision for the full length Second Ave. Subway". ltvsquad.com. Retrieved December 30, 2016. ^ a b c Reeves, Hope (October 26, 2006). "The Second Avenue Subway Is Brought to You by the Letter T". New York Magazine. Retrieved August 2, 2009. ^ a b "Figure 2-1: New York City Subway Service with Second Avenue Subway Line" (PDF). mta.info. Metropolitan Transportation Authority. May 2004. Retrieved December 15, 2016. Bessel, Richard (1968). A history of the Second Avenue subway. New York City Transit Authority. OCLC 5971204. MTA Capital Construction (July 12, 2018). "Second Avenue Subway Supplemental Environmental Assessment". Metropolitan Transportation Authority. Retrieved July 13, 2018.